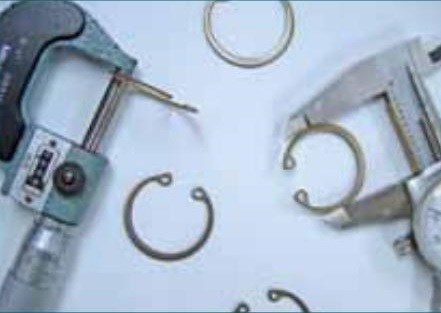 Retaining Rings | Cal Fasteners, Inc.
CFI has improved their line of retaining rings and entered into a relationship with Rotor Clip. Rotor Clip has a broad line of fastener products with their 238,000 square foot facility located in New Jersey of the United States. They are a global leader in the manufacturing of tapered, constant section and spiral retaining rings. Including inch, DIN, ANSI, Metric and JIS standards. This includes the manual and automatic tools needed to install and remove every ring they make. Rotor Clip also manufactures wave springs and self-compensating hose clamps. They are produced in a lean environment and are dedicated to eliminating waste and ensuring quality through ISO/TS 16949:2009 & ISO 9001:2008 registration.